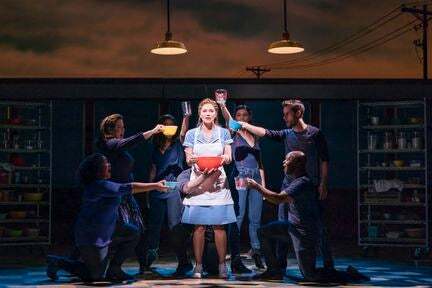 Whipping up a storm at the Adelphi Theatre in 2019, Waitress is one of the newest sweet surprises in the West End. 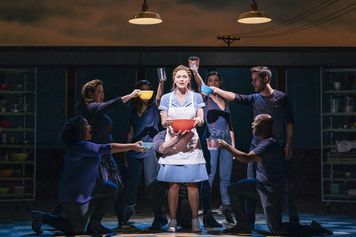 With music and lyrics by Sara Bareilles and nominated for four Tony Awards, the musical story of Jenna Hunterson, a waitress and pie maker who seeks a new start to her life. Let the treats Waitress has in store warm your heart and leave you salivating over the smell of Sweet Victory pie. 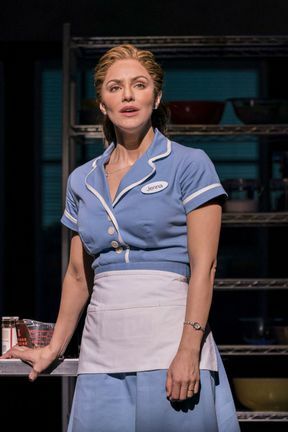 Katharine McPhee makes her West End debut as Jenna Hunterson. Rising to fame as a singer on the 2006 series of American Idol, she is best known for appearing in the hit television series Smash as Karen Cartwright alongside Megan Hilty and Christian Borle. McPhee will play her final performance in Waitress on 15th June. Marisha Wallace stars as Becky after the role was originated on Broadway by Keala Settle. 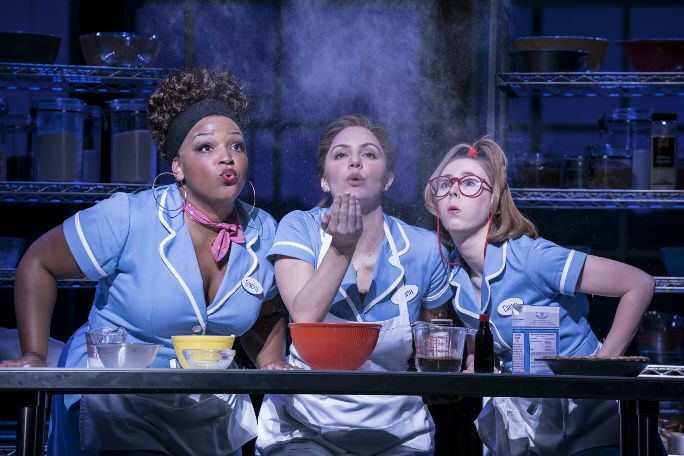 Currently starring as Effie White in Dreamgirls, she has also starred on Broadway in Something Rotten and Aladdin. Laura Baldwin will play Dawn, with previous stage credits including Big Fish and The Little Beasts and Eugenius at The Other Palace. 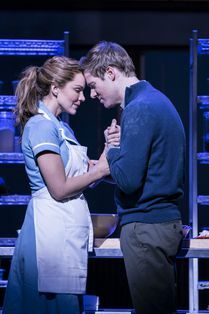 David Hunter plays Dr. Pomatter and Peter Hannah plays Earl. 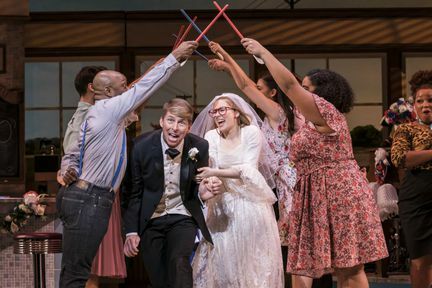 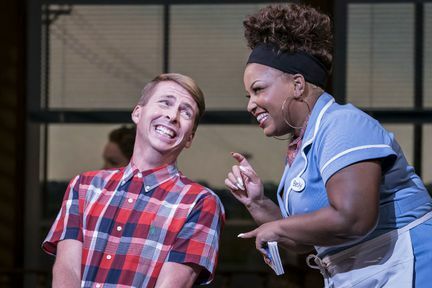 Jack McBrayer appears as Ogie, making his West End debut in the production. The cast is completed by Kelly Agbowu, Piers Bate, Nicole Raquel Dennis, Michael Hamway, Peter Hannah, Stephen Leask, Chris McGuigan, Olivia Moore, Nathaniel Morrison, Sarah O’Connor, Leanne Pinder, Shaun Prendergast and Charlotte Riby. Jenna Hunterson, waitress and expert pie baker is trapped in an unloving relationship with her husband Earl. 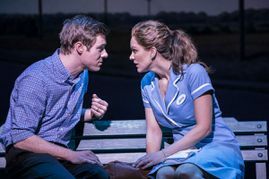 When she learns she is pregnant, she tells her gynaecologist Dr Jim Pomatter that she does not want the child. Wanting to leave Earl after a big argument, Jenna reveals to co-workers Dawn and Becky that she plans on entering the pie contest and using the winnings to leave Earl and start a new life afresh. 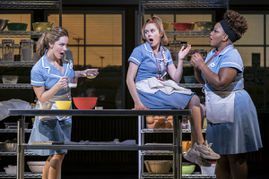 LOOKING FOR CHEAP WAITRESS TICKETS AT THE ADELPHI THEATRE? With our huge range of cheap musical tickets, London shows have never been better value. 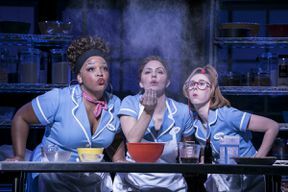 Book with us for Waitress and enjoy great entertainment at a price that’s in tune with your budget. You can book from 24-Apr-2019 to 27-Nov-2019. The creatives behind Waitress were the first ever all-female team on Broadway, and when the show gets its London premiere in 2019, it will be the first all-female creative team in the West End. During the Broadway production, pies are baked before the show for an authentic diner aroma. The theatre is scented by baking fresh pies with a lot of cinnamon in order for the aroma to waft around.